As a distillation of many years of reading, Unlocking Worlds provides valuable knowledge to anyone looking beyond the next Amazon recommendation for ideas. 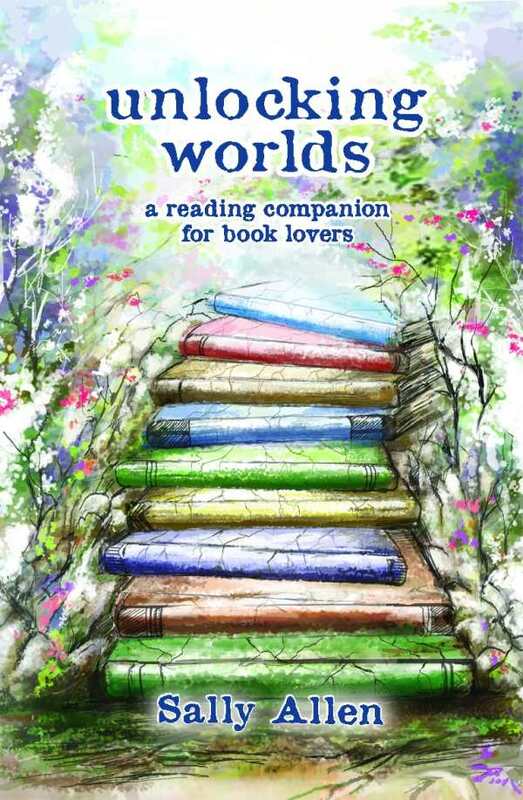 Sally Allen’s thoughtfully compiled Unlocking Worlds: A Reading Companion for Book Lovers offers a myriad of reflections and ideas on reading material. The book makes the safe assumption that its readers have a to-read list or pile; Allen is warm and forthcoming about her high opinion of books and “the bookish life.” But with her recommendation chapters neatly grouped by subject, even those who don’t read often should be able to easily find ideas on books that will interest them. Allen holds a PhD in English education and has taught writing and literature at several universities. She’s well-read and her recommendations span a vast range of genres and subjects, with chapters that discuss “Novels That Play with Time and Space,” “Novels in Letters and Multiple Perspectives,” and even “Novels That Explore Russian Life Before and After the Soviet Revolution,” among many others. While male readers might find her choices skew a bit toward the traditionally “female” book, with relationships and internal reflections generally taking precedence over action and plot, Allen is a daring enough reader that she’s able to recommend genre favorites like Fahrenheit 451, The Spy Who Came in from the Cold and World War Z: An Oral History of the Zombie War, alongside classics like A Farewell to Arms and Northanger Abbey, modern romps like Bridget Jones’s Diary, and children’s literature. Since most people who would seek out a book that recommends other books are probably also pretty well-read already, such low-hanging fruit might be looked upon as being too obvious, and of little value. But Allen does a good job of mixing in more obscure titles, too, and it’s unlikely that anyone reading Unlocking Worlds won’t come away with at least a few new books to seek out. There are many books available that exist to give impressions of other books, to point readers in the direction of literature they might enjoy or not otherwise find. The question with such books is, do they validate the time spent reading them, or would one be better served to simply read one of the other books on his or her to-read list? As a distillation of many years of reading, Unlocking Worlds provides valuable knowledge to anyone looking beyond the next Amazon recommendation for ideas. More importantly, even if one never follows up with any of Allen’s recommendations, reading Unlocking Worlds is an enjoyable experience all by itself.